This article is the first in a series that originally appeared in AN‘s July/August 2018 issue which focuses exclusively on Texas. The rest of the essays will be released in the coming days and examine architecture and practice across the southern border of the United States. So much of what is built on the border is to contain, restrain, detain, constrain, restrict, wall off, fence up. When there is so much natural beauty there—the river, the desert, the mountains to enjoy and celebrate. So many families who want to be together, so many people who just want to be. I wish that we were building more bridges (flat, easier to cross and connect), tearing down the walls that we have; wish that we had immigration and asylum laws that matched our values and our interests so that we weren’t locking so many people up. Wish that there were no more private prison companies so that there wasn’t a profit motive to do that. Texas, the state with the longest continuous land border with Mexico, has been uniquely formative in the construction of spaces and narratives that define national dialogue in the borderland. The state is home to more ports of entry than any other state. These entry points are legible crucibles of bio-political power, routinely collapsing spaces of speculative commerce, incarceration, and the projection of national identity. Assessments for constructing a new border crossing, connecting Tornillo, Texas, with Guadalupe, Chihuahua, began in 2001. A new bridge, a 2,000-acre industrial park, and 300 acres of “border facilities” were initially meant to bring economic development to the remote area and improve regional health, reducing pollution from idling traffic at congested bridges in El Paso. A presidential permit was issued for the bridge in 2005, but its construction would be stalled, and its purposes changed. In 2008, the Juarez Valley, a remote collection of agricultural communities in Mexico south of Tornillo, saw one of the highest murder rates in the world, gaining it the reputation as the “Valley of Death.” Victims of the violence would increasingly flee to Tornillo to seek asylum. 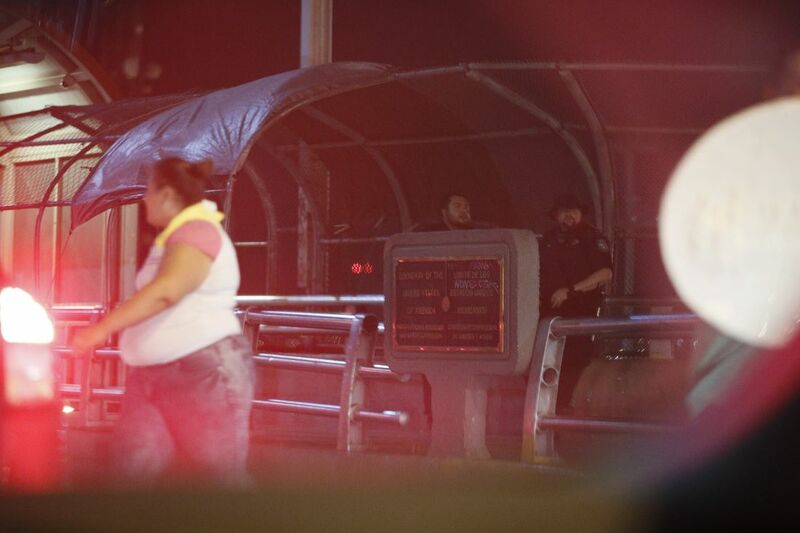 Some speculate that the rampant violence was a scheme sponsored by the Mexican government to evacuate residents in the area in preparation for, and to expedite construction of, the bridge. In 2010, modular detention facilities in nearby Fabens, Texas, built to accommodate the flow, were over capacity. Violence in the valley eventually stabilized and plans for the new crossing were rekindled. The Tornillo-Guadalupe International Bridge opened in 2016 and was hailed as an achievement in cross-border infrastructure. The adjoining U.S. checkpoint exemplifies an architecture designed to manage, block, and process bodies, an outpost at the edge of empire. The architects of the LEED Gold facility describe the materials and performance as specially suited to the site’s desert context, with integrated technologies promoting the efficient monitoring of populations, noting that the design “inspires the spirit of place.” The optimism for the port to rapidly realize a future characterized by collaborative binational security efforts was captured in its christening. It was named for Marcelino Serna, the most decorated U.S. soldier from Texas to serve in WWI, who happened to be an undocumented migrant. The anticipated traffic never came. Less than a year after its opening, U.S. Customs and Border Protection (CBP) had shut down the only lane dedicated for northbound commercial traffic. Without the economic engine to support the new complex, the overbuilt site quickly found new use in a growing economy of detention. Tornillo opened a temporary overflow center in 2016, typical of an increasingly common ephemeral incarceration infrastructure. These pop-up sites are rapidly installed and disassembled by specialist companies who navigate remote terrain in far-flung locales as easily as their practices navigate the constraints imposed on such facilities by case law. Tornillo continues to be an ideal site for such installations, far from the public eye yet enmeshed in the infrastructure of detention. In June 2018, Tornillo would be home to its most notorious tent city. The Tornillo checkpoint currently holds over 300 minors in tents just south of the bridge. 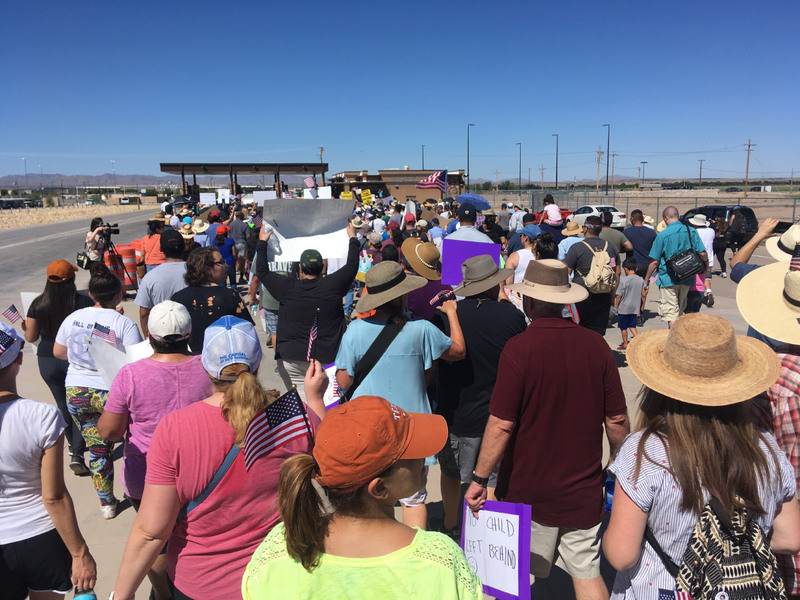 As the Trump administration’s “zero tolerance” policy has separated families across the country, the Tornillo site grows as a center of life for the unwanted, the detained, and the displaced. For a few days, however, a contrasting occupation resisted the isolation, anonymity, and placelessness of the remote facility. On Father’s Day 2018 and the following Sunday, floods of protesters descended upon the border checkpoint, appropriating the isolated node as a center of active resistance. The site joins a growing host of detention sites in the border state, which index nationwide trends in detention. Taken collectively, the sites represent a growing impact of private speculation and profit models impacting the construction of detention facilities, all of which are adapting—and therefore helping to realize—a near future in which the remote, prolonged detention of families and children is commonplace. Since 2006, Texas has been home to the much-maligned T. Don Hutto Residential Facility, which, at the time it was built, was the only privately-run facility used to detain families. The largest detention site in the U.S., the South Texas Family Residential Center in Dilley, Texas, can house up to 2,400 women and children. The site is part of a constellation of for-profit, superscaled sites on a stretch of interstate highway between Laredo and San Antonio dubbed “detention alley.” A new contract seeks a 1,000-bed center nearby—similar to a 1,000-bed facility built outside of Houston last year—which will be the eighth in the South Texas area. As military advisers advocate for detention centers on military bases to create even more “austere” and “temporary” environments, Texas leads the charge here as well. Lackland Air Force Base in San Antonio housed migrant children in 2014, repurposing a dormitory once used for recruits. El Paso’s Fort Bliss housed 500 unaccompanied Central American children in 2016. A June announcement revealed that two Texas military installations—Fort Bliss and Goodfellow Air Force Base—would be among the select sites to continue the trend. Other sites in the state, such as the now infamous former Walmart in Brownsville, signal a shift toward speculative investment in detention trickling down to private properties and actors. 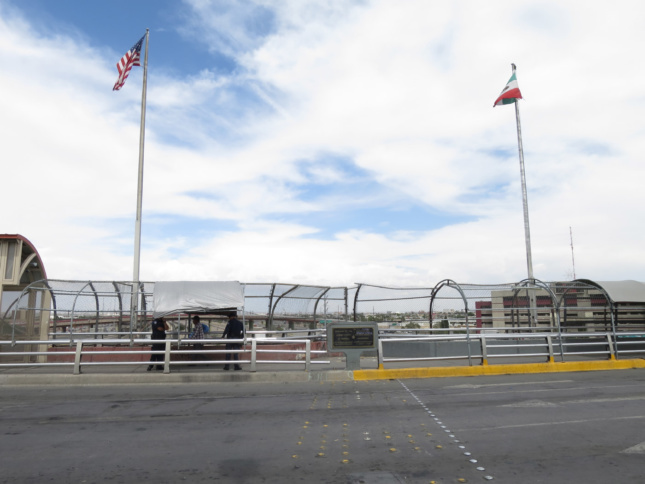 At the Paso Del Norte International Bridge, connecting downtown Ciudad Juárez with downtown El Paso, CBP is pushing the edge of U.S. jurisdiction beyond the spatial limits of the bridge. 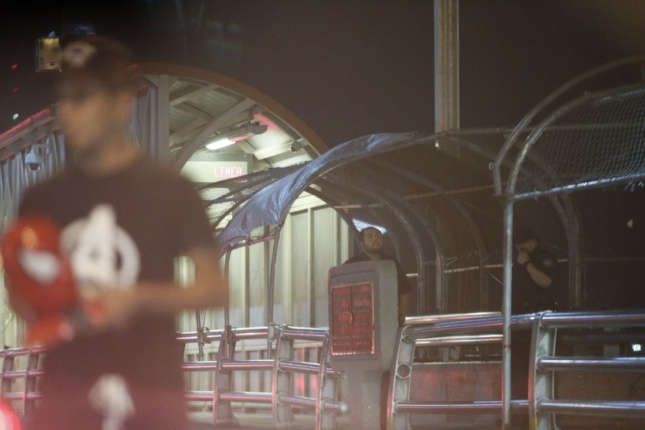 Although due process of asylum claims is guaranteed within the port of entry, agents have ventured onto—and reportedly across—the bridge to deny access to the port. Uniformed border agents ask for documents on the bridge to identify and turn away Central Americans seeking asylum, a few hundred feet from their destination. 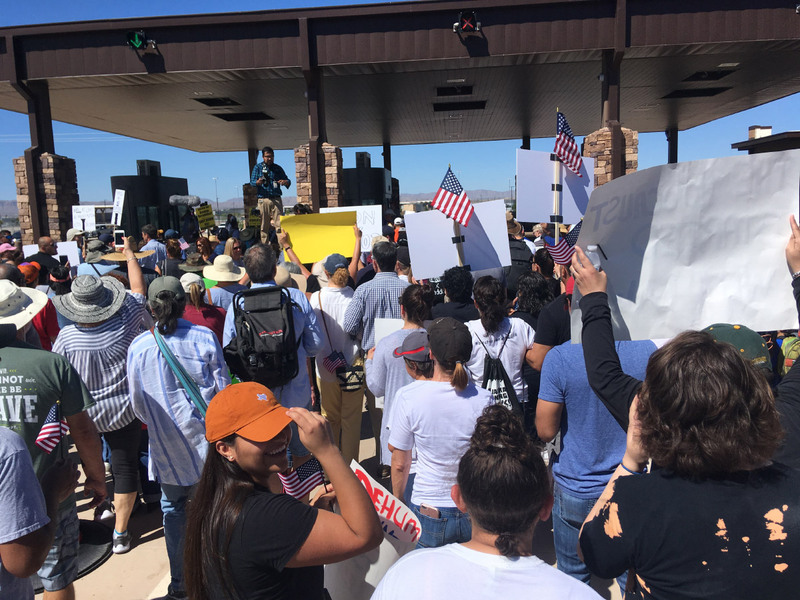 On June 27, CBP confirmed to El Paso immigration rights advocacy groups that this prescreening and advance rejection has become official policy borderwide. Without access to the legal framework enabled by the ports, many asylum seekers cross in unsanctioned locations. Those caught crossing outside the ports, some with otherwise credible asylum claims, face criminal charges and deportation. By denying a space for lawful entry, the policy artificially amplifies the numbers of illegal crossings and a myth of increased illegitimate entry. The port thus transforms from a site capable of processing identities to an instrument which actively constructs and deconstructs citizenship.